Overall results paying out Top 4. 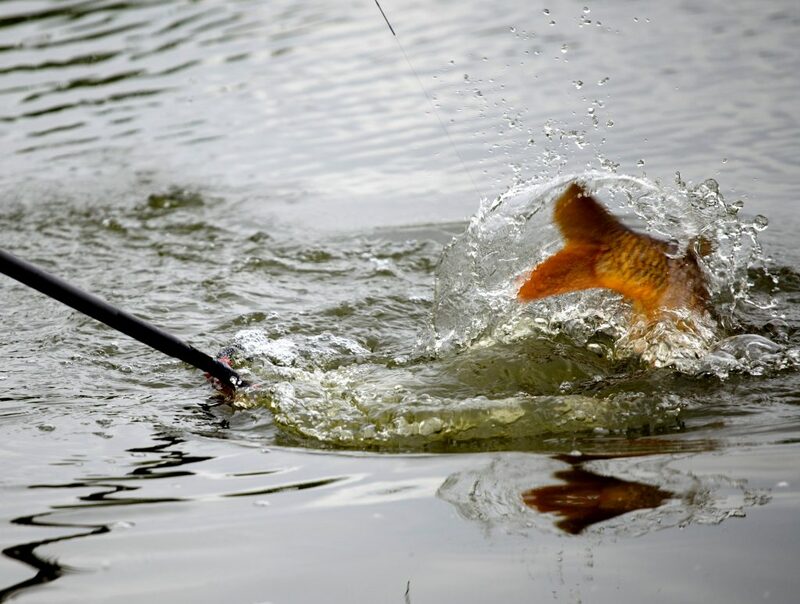 Jim Anderson, Ian Hickson, Paul Spencer, Paul Hodkin, Symon Willan, Don Lines, Dave Wardman were all DNWs with only an odd gudgeon, small skimmer caught by Don and Symon. Mild and dry with a West wind, conditions looked great, but the fish in the Square and Canal disagreed, still refusing to feed., however Queensberry and Bruces Acre fished a little better. 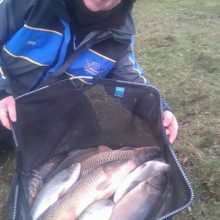 John Williamson stole the show, catching some chunky New Year carp, chub and ide on bomb, throwing towards the rope to win overall with a superb winter weight of 42lbs. The carp seemed to be feeding a bit in Bruce’s Acre, as Rosen had 7 small Commons, I had 2 for 7.5lb (the only two bites I had on pole! 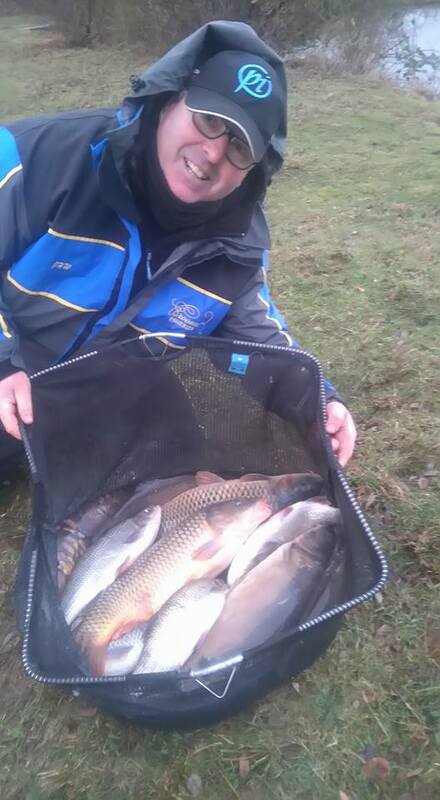 ), and Geoff Whittle also had a nice 6lb common. 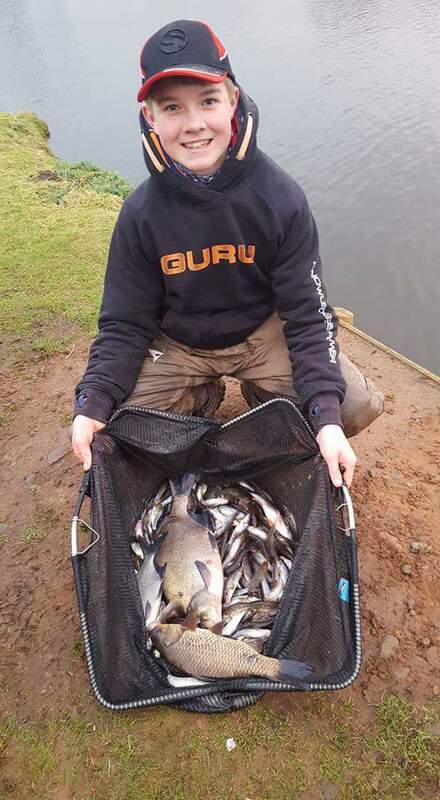 For those that opted to fish Queensberry Water, it was the right move, with Myles Watt catching two small carp and a good net of quality roach to finish 2nd overall, caught shallow on pole. 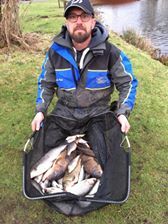 Ian Whitson was 3rd overall from the next peg, with some nice skimmers and lots of small blades / gudgeon. 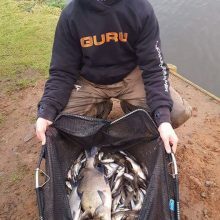 Rob Swan took the last framing position in 4th, with a good skimmer, a small carp and a big netful of gudgeon / small blades. Great effort guys, and well done to those who chose wisely! !